Drive or Ship The Vehicle? Projects at home have kept me busy late into the fall. The start of winter in North America corresponds to the beginning of summer south of the equator. Summer is the best time to visit the extreme south of the globe. 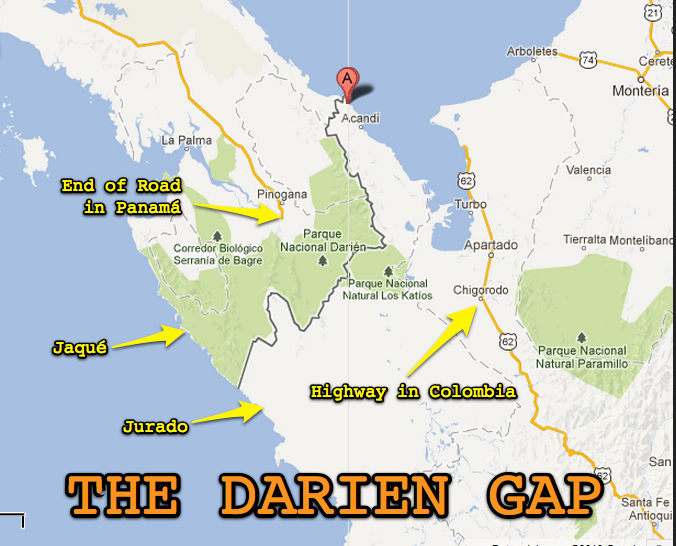 Driving from North to South America requires shipping a vehicle across the Darien Gap, a road-less stretch from Panama to Northern Colombia. It cost only slightly more to ship a vehicle all the way from the US to Argentina than the short distance across the Darien Gap. I have read of people who have actually paid more. Stretching from Alaska to the pencil tip of Argentina, the 48,000km-long Pan-American Highway holds the record for the world’s longest motorable road. But there is a gap – an expanse of wild tropical forest – that has defeated travellers for centuries. I have crossed Mexico and Central America with their security and annoying boarder crossings many times in the past. 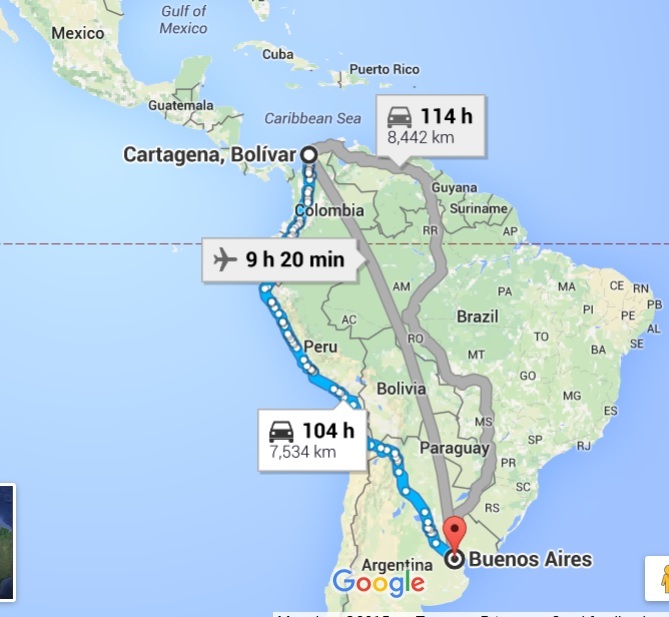 If I drove to Panama and shipped across the Darien Gap I would still have a 5,000 mile truck pounding drive from Cartagena, Colombia to Buenos Aires. The primary goal is to do the south in summer so – shipping is the plan. The economics of shipping start looking pretty good. I looked at shipping containerized, the advantage is being able to leave contents in the vehicle during shipping and perhaps better protection for the vehicle. 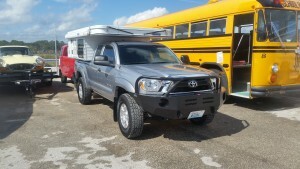 RORO shipping requires all contents must be removed from the truck and camper prior to it being shipped. Quotes for containerized shipping were generally more expensive. It was interesting that cost and distance shipped did not seem to be related. A RORO ship is a huge multi-level parking lot. After weeks of online and phone research I decided to ship the vehicle from Jacksonville, Florida to Zarate a port city just north of Buenos Aires. Zarate has a RORO terminal and hosts a Toyota assembly plant where the international version of the Toyota Tacoma called the Hilux is made. 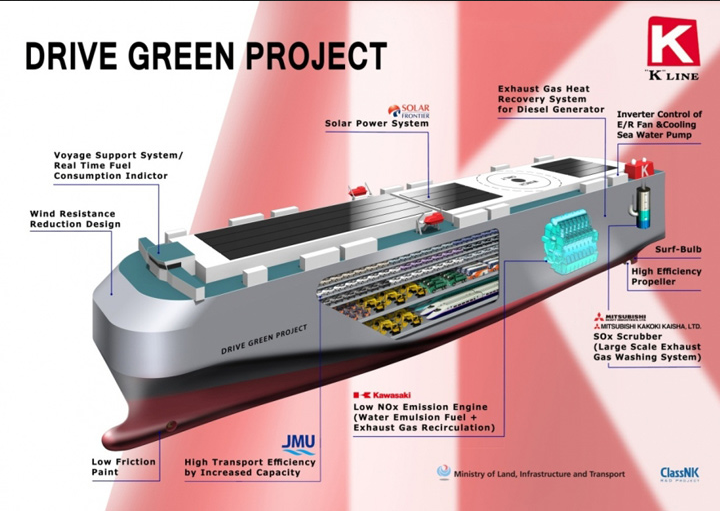 One of the best quotes I received for RORO shipping was from Kline America. Initial quote was $1100 to ship the unit plus a myriad of paperwork and port fees. After all the charges and paying a freight forwarder to handle the transaction it cost a total of $1581.00 not including insurance. This will be the truck’s home for a month. 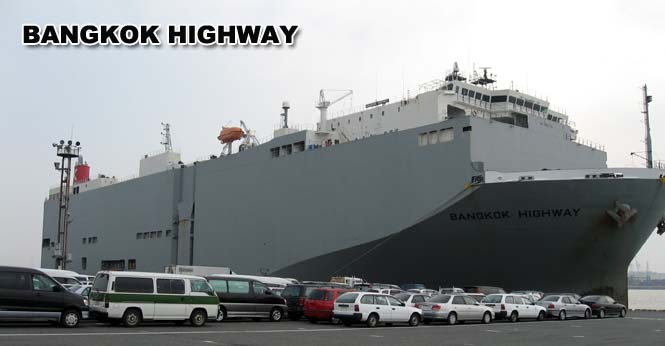 K-line will be the ship line and the ship will be the Bangkok Highway. The schedule is to depart Jacksonville on Nov 3rd and arrive in Zarate on Thanksgiving day Nov 26th. I dropped the truck off on Oct 28th after driving it from Washington and then returned home to close up. The Plan was to fly to Buenos Aires around Nov 24th to receive the truck. Posted on October 29, 2015 December 22, 2015 Leave a comment on Drive or Ship The Vehicle?